(Newser) – As if bloodsucking ticks weren't creepy enough, now it turns out they can seriously put you off your red meat, reports the Wall Street Journal. 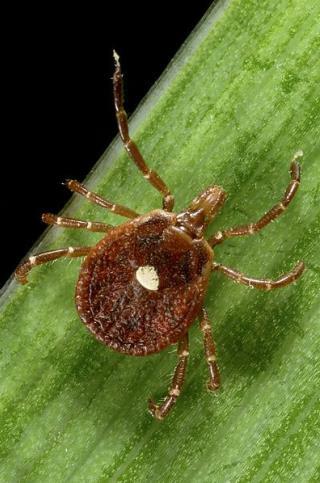 The bizarre connection between the bite of a Lone Star tick and red-meat allergies was first identified in 2007 in Virginia, and has been spreading in recent years as far as Massachusetts and New York. Early sufferers dealt with skeptical reactions, because the symptoms—which can include vomiting, hives, and even anaphylaxis—can take weeks or months to first occur after the tick bite, and often occur hours after eating beef, pork, or lamb. hmm. maybe that's why i'm not enamored of animal protien lately. Well to be honest, it's not ticks here in SC, although it could be, but rather the disgusting conditions of pigs in crates, downed cows kicked into getting up, chickens debeaked and crammed into a 12 by 12 inch enclosure. It is too horrific to imagine yet alone to bring into one's conscience. I'm cutting out, getting down whatever to get away from this nightmare. Good Lord, PETA will be breeding these monsters. And they will be backed by Tyson, Pilgim 's Pride, Sanderson Farms and KFC. What an unholy alliance, haha.